Noted Assamese filmmaker Jahnu Barua’s film Bhoga Khirkee attempts to show the unseen side of the Assamese society. The film produced by Priyanka Chopra’s Purple Pebble Pictures and Easterly Entertainment, a Mumbai-based company. It premiered at the second edition of the Guwahati International Film Festival (GIFF). It tells the story of an educated woman Togor whose calm and peaceful world comes crashing down after her childhood sweetheart Koncheng becomes a militant. The film beautifully portrays Togor’s relationship with her parents. Togor shares a strained relationship with her father and a beautiful one with her mother who loves her unconditionally. The mother-daughter relationship is showcased perfectly. Barua said that films showcases the traditions and ethics of different societies and one should not be ashamed of showing it. The Padma Bhushan award winning filmmaker also said that he makes films on the experiences and situations he has faced throughout life. 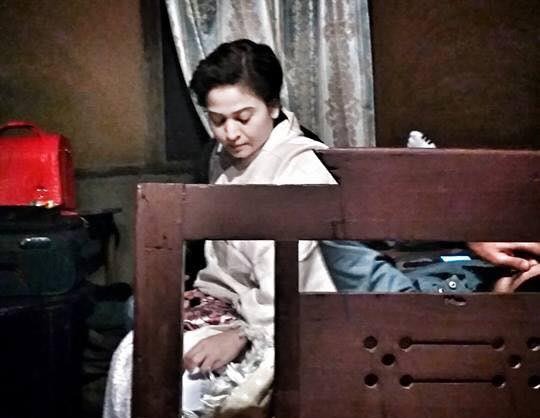 Barua showcased old traditions of Assamese society that have disappeared in the modern times like in one scene it is shown that Togor’s grandfather was forcing her father to take an oath that he would never beat his child, reports The Morung Express. He said “The name Bhoga Khirikee is a metaphor symbolising the Assamese society. It is through this window that I wish to paint a picture of the world around us”. According to Barua, films help in fighting social evils and he attempts to do that with his films.